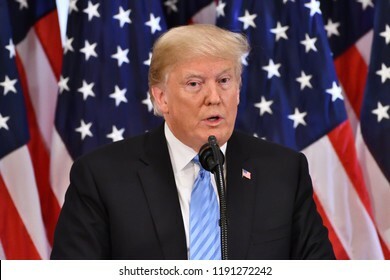 NEW YORK, NY - SEPTEMBER 26, 2018: Donald Trump, the President of the United States addresses reporters on the sidelines of the UN General Assembly at the Lotte Palace Hotel. 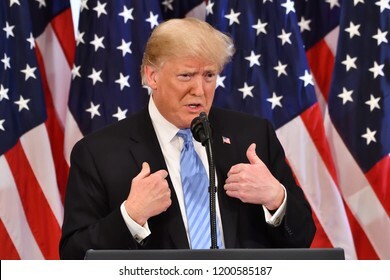 NEW YORK, NY - SEPTEMBER 26, 2018: Stable Genius Trump President of the United States gestures as he addresses a press conference at the Lotte Palace Hotel. 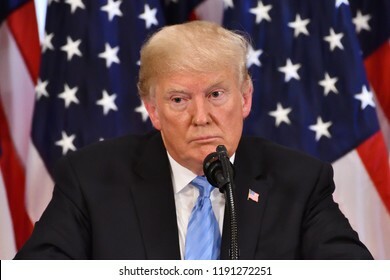 NEW YORK, NY - SEPTEMBER 26, 2018: President Donald Trump pauses while listening to a reporter ask questions at the press conference held at the Lotte Palace Hotel in the Villard Room. 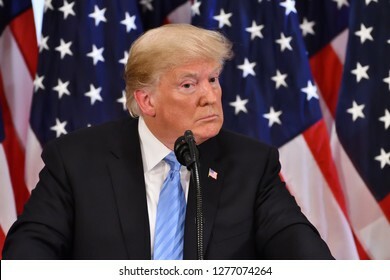 NEW YORK, NY - SEPTEMBER 26, 2018: President Donald Trump listens to a reporters question at a press conference held at the Lotte Palace Hotel during the UN General Assembly. 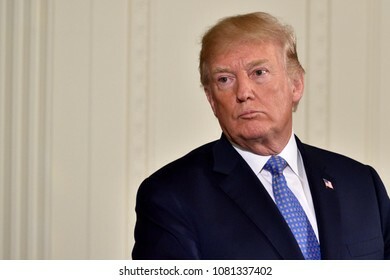 WASHINGTON, DC - APRIL 27, 2018: President Donald Trump looks to his right as he speaks at a joint press conference with German Chancellor Angela Merkel in the East Room of the White House. 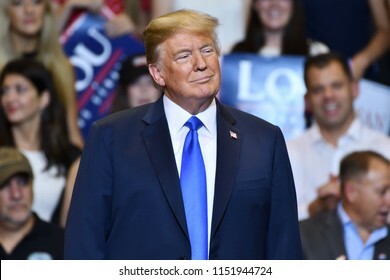 WILKES-BARRE, PA - AUGUST 2, 2018: President Donald Trump portrait smiling at the crowd during a campaign rally for Congressman Lou Barletta held at the Mohegan Sun Arena. 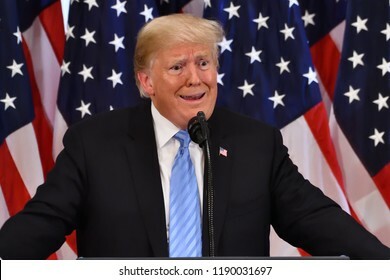 NEW YORK, NY - SEPTEMBER 26, 2018: President Donald Trump selects a reporter to ask him a question at a press conference at the Lotte Palace Hotel during the UN General Assembly. 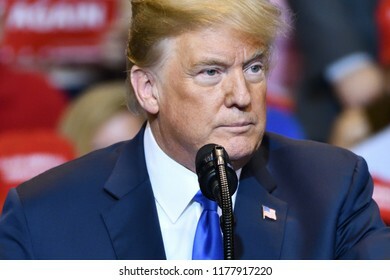 WILKES-BARRE, PA - AUGUST 2, 2018: President Donald Trump closeup portrait looking left while delivering a speech at a campaign rally at the Mohegan Sun Arena. 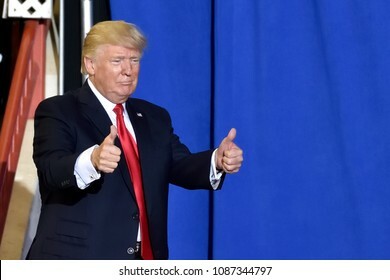 HARRISBURG, PA - APRIL 29, 2017: President Trump giving a two thumbs up gesture as he exits the stage of his campaign rally. Held at The Farm Show Complex and Expo Center. 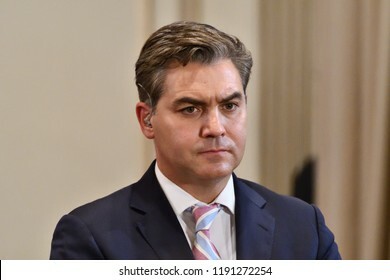 NEW YORK, NY - SEPTEMBER 26, 2018: CNN Chief White House correspondent Jim Acosta prepares to go on air from the Lotte Palace Hotel during the Trump press conference. 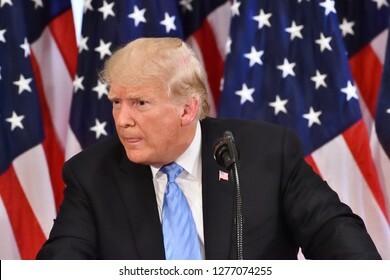 NEW YORK, NY - SEPTEMBER 26, 2018: President Donald Trump listens intently to a reporter ask him a question at a press conference held at the Lotte Palace Hotel during the UN General Assembly. 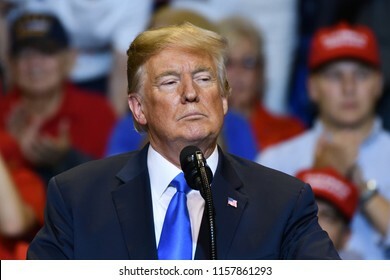 WILKES-BARRE, PA - AUGUST 2, 2018: President Donald Trump portrait of his gazes toward the audience of a campaign rally for Congressman Lou Barletta. 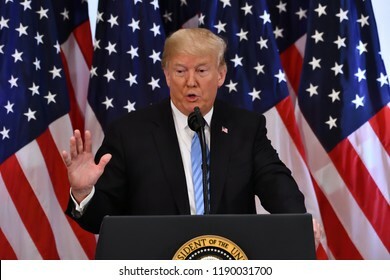 NEW YORK, NY - SEPTEMBER 26, 2018: President Trump addresses the press as reporters ask him questions at a news conference at the Lotte Palace Hotel in the Villard Room. 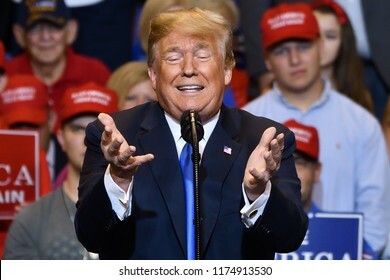 WILKES-BARRE, PA - AUGUST 2, 2018: President Trump on stage reacts as he listens to congressman Lou Barletta speak to the crowd at his campaign rally. 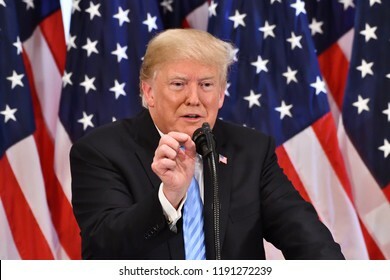 NEW YORK, NY - SEPTEMBER 26, 2018: President Donald Trump points to a reporter he selected to answer a question at a news conference held at the Villard Room of the Lotte Palace Hotel. 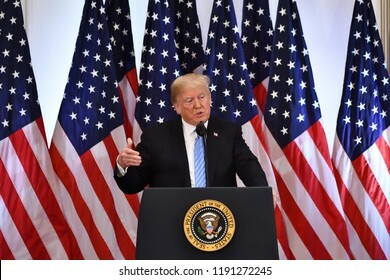 NEW YORK, NY - SEPTEMBER 26, 2018: President Donald Trump addresses the media at press conference in the Lotte Palace Hotel Villard Room. 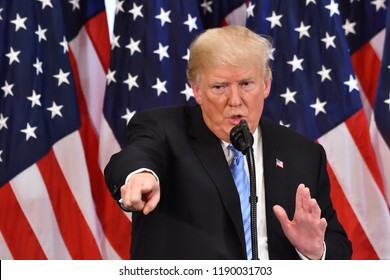 WILKES-BARRE, PA - AUGUST 2, 2018: Donald Trump Hand Chop gesture. 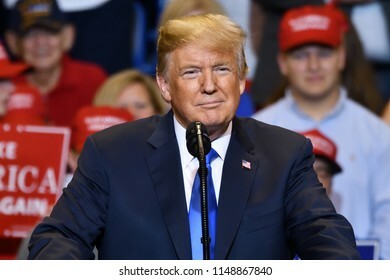 The President of the United States delivers a speech at a campaign rally at the Mohegan Sun Arena. 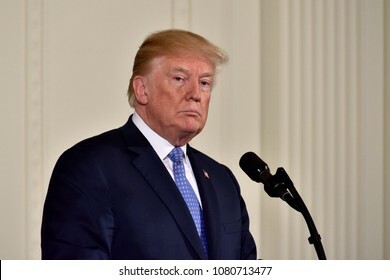 WASHINGTON, DC - APRIL 27, 2018: President Donald Trump pauses as he speaks at a joint press conference with German Chancellor Angela Merkel in the East Room of the White House. 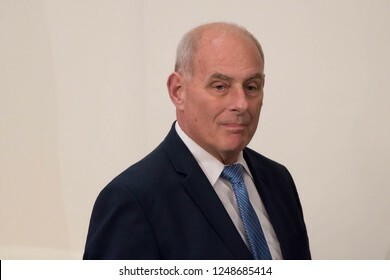 NEW YORK, NY - SEPTEMBER 26, 2018: John Kelly, the White House Chief of Staff attends a press conference held by President Donald Trump at the NY Lotte Palace Hotel. 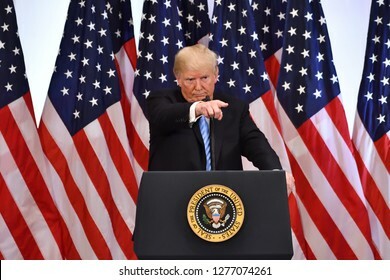 NEW YORK, NY - SEPTEMBER 26, 2018: President Donald Trump faces the press at a news conference held at the Lotte Palace Hotel in the Villard Room. 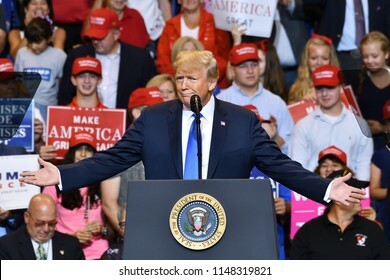 WILKES-BARRE, PA - AUGUST 2, 2018: President Donald Trump stands on stage looking to his right as Congressman Lou Barletta delivers a campaign speech. 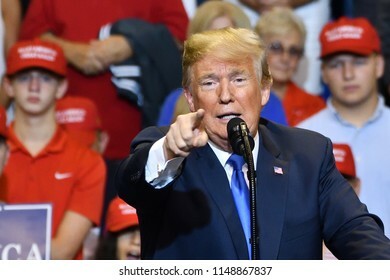 WILKES-BARRE, PA - AUGUST 2, 2018: President Donald Trump with the "pointing index finger" gesture as he speaks at a campaign rally for Congressman Lou Barletta. 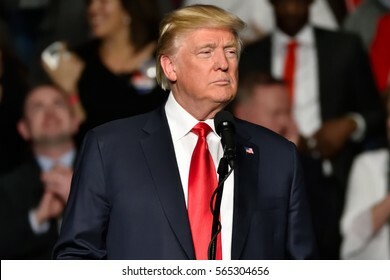 WILKES-BARRE, PA - AUGUST 2, 2018: President Donald Trump listens on stage looking to his left as Congressman Lou Barletta delivers a campaign speech. 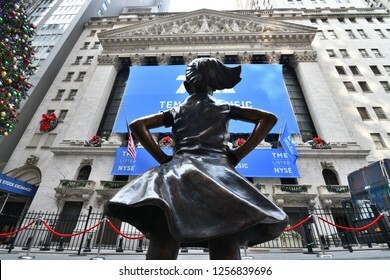 NEW YORK, NY - DECEMBER 12, 2018: Fearless Girl Statue is staring down the New York Stock Exchange during the Tencent IPO. 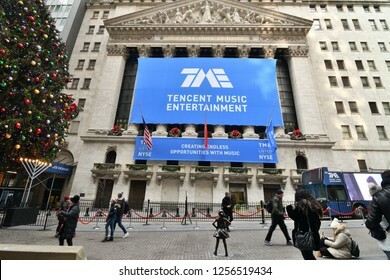 A blue TME banner is displayed across the NYSE building in a wide view. 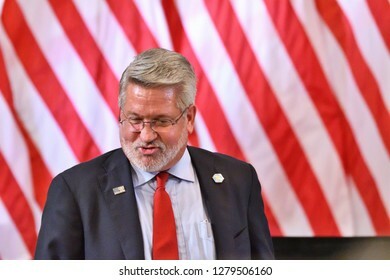 NEW YORK, NY - SEPTEMBER 26, 2018: Bill Shine White House deputy chief of staff in discussion ahead of the Trump Press Conference at the Lotte Palace Hotel during the UN General Assembly. 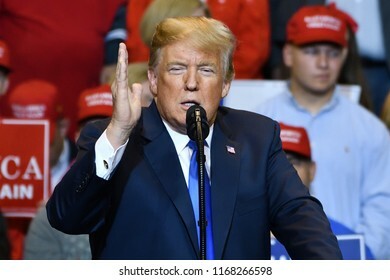 WILKES-BARRE, PA - AUGUST 2, 2018: President Donald Trump gives a double outstreched hand gesture during a campaign rally for Congressman Lou Barletta held at the Mohegan Sun Arena. 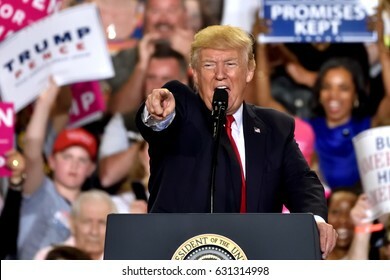 HARRISBURG, PA - APRIL 29, 2017: President Donald Trump points and shouts at what he calls the "dishonest" media during a speech to mark 100 days in office at the Farm Show Complex and Expo Center. 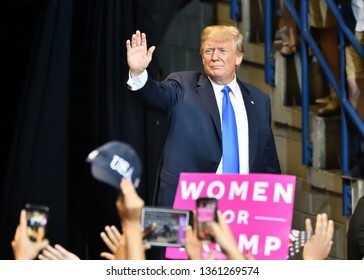 WILKES-BARRE, PA - AUGUST 2, 2018: President Donald Trump waves triumphantly to supporters as he leaves the stage at a campaign rally. 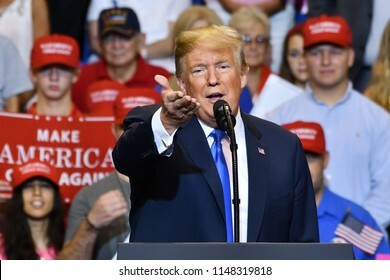 WILKES-BARRE, PA - AUGUST 2, 2018: President Donald Trump gestures to the media as he discusses "fake news" at a campaign rally for Congressman Lou Barletta. 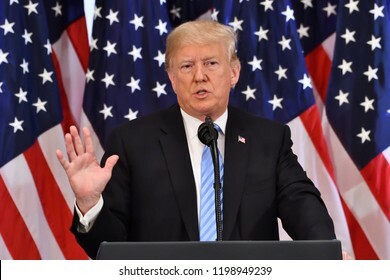 NEW YORK, NY - SEPTEMBER 26, 2018: President Donald Trump gestures as he delivers remarks at a press conference held at the Lotte New York Palace Hotel in the Villard Room. 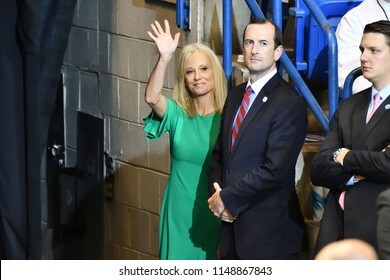 WILKES-BARRE, PA - AUGUST 2, 2018: Kellyanne Conway stands near the stage exit during a Trump campaign rally for Congressman Lou Barletta who is running for Senate. 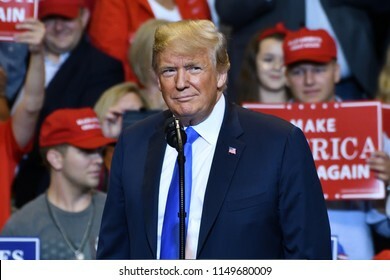 HERSHEY, PA - DECEMBER 15, 2016: President-Elect Donald Trump looks left toward the crowd as he delivers a speech at a "Thank You Tour" rally held at the Giant Center. 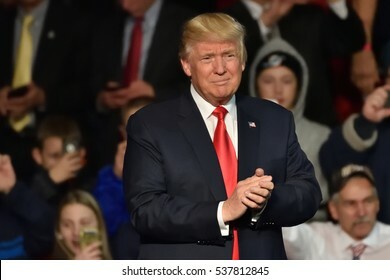 HERSHEY, PA - DECEMBER 15, 2016: President-Elect Donald Trump makes a proud gesture during his speech at a "Thank You" Tour rally held at the Giant Center. 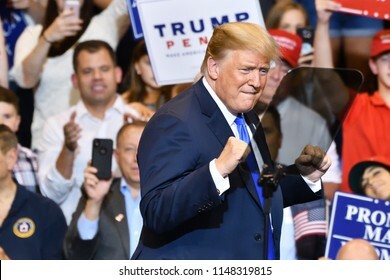 WILKES-BARRE, PA - AUGUST 2, 2018: President Donald Trump gives a "double fist pump" gesture during a campaign rally for Congressman Lou Barletta. 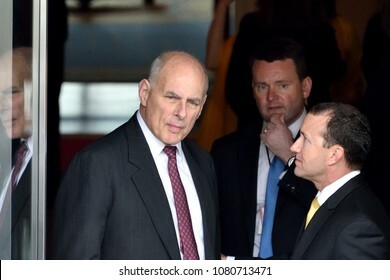 WASHINGTON, DC - APRIL 27, 2018: John Kelly White House Chief of Staff for President Trump huddles at the North Portico door of the White House ahead of the Olympic and Paralympic teams welcome. 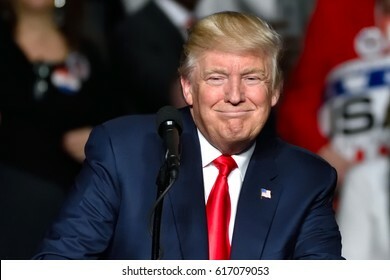 HERSHEY, PA - DECEMBER 15, 2016: President-Elect Donald Trump smiles as he pauses during a speech at a "Thank You" tour rally held at the Giant Center. 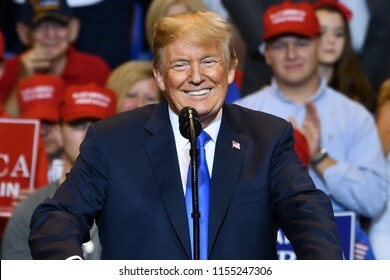 HERSHEY, PA - DECEMBER 15, 2016: President Trump "Cheshire cat" smile during his speech at a "Thank You" Tour rally held at the Giant Center. 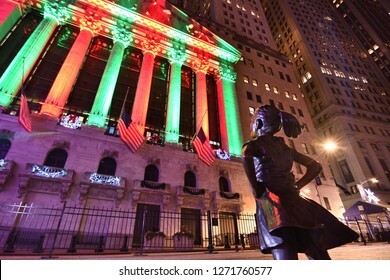 NEW YORK, NY - DECEMBER 23, 2018: Fearless Girl Statue is staring down the New York Stock Exchange during the holidays at night. 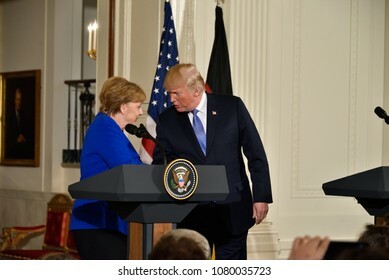 WASHINGTON, DC - APRIL 27, 2018: President Donald Trump and German Chancellor Angela Merkel shake hands after opening remarks at their joint press conference at the White House East Room. 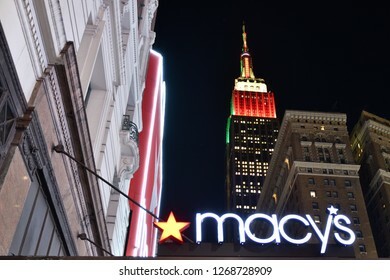 NEW YORK, NY - DECEMBER 26, 2018: Macy's Flagship Store Sign and the Empire State Building at Night during the holidays. 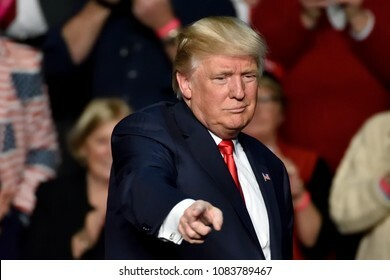 HERSHEY, PA - DECEMBER 15, 2016: President Donald Trump points toward the crowd as he concludes his speech at a "Thank You Tour" rally held at the Giant Center. 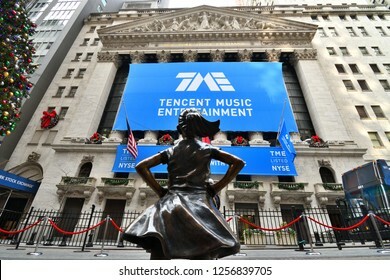 NEW YORK, NY - DECEMBER 12, 2018: Fearless Girl Statue is staring down the New York Stock Exchange during the Tencent IPO. A blue TME banner is displayed across the NYSE building in a close view. 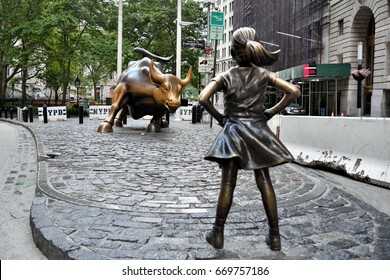 NEW YORK, NY - DECEMBER 12, 2018: Fearless Girl Statue is staring down the New York Stock Exchange during the Tencent IPO. A blue TME banner is displayed across the NYSE building in a full view. 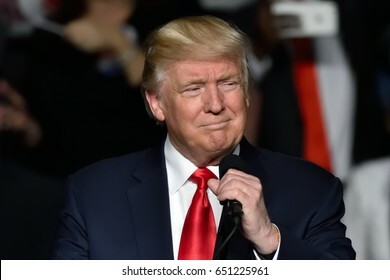 HERSHEY, PA - DECEMBER 15, 2016: President-Elect Donald Trump speaks of his relief to have won the state of Texas on Election night during his speech at the "Thank You Tour" rally at the Giant Center. 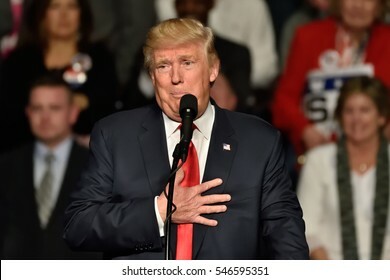 WILKES-BARRE, PA - AUGUST 2, 2018: President Donald Trump gestures "can you believe this" with wide open hands at a campaign rally for Congressman Lou Barletta. 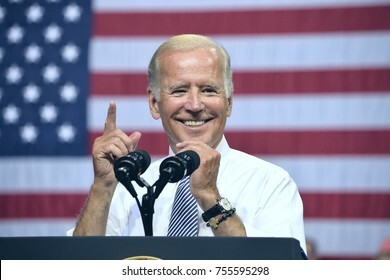 SCRANTON, PA - AUGUST 15, 2016: Vice President Joe Biden makes a pointing gesture as he delivers a speech at the campaign event for democratic presidential nominee Hillary Clinton. 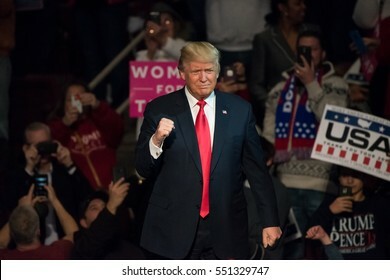 HERSHEY, PA - DECEMBER 15, 2016: President-Elect Donald Trump gives a "Fist Pump" to the crowd as he arrives on stage to deliver a speech at a "Thank You" Tour rally at the Giant Center. 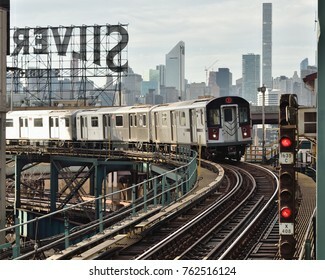 NEW YORK, NY - NOVEMBER 25, 2017: The 7 train approaches the station with the iconic Silvercup Studios sign and Manhattan skyline in the background. 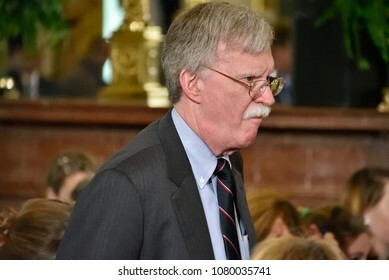 WASHINGTON, DC - APRIL 27, 2018: John Bolton National Security Advisor to the United States attends a joint press conference between President Trump and Chancellor Merkel of Germany. 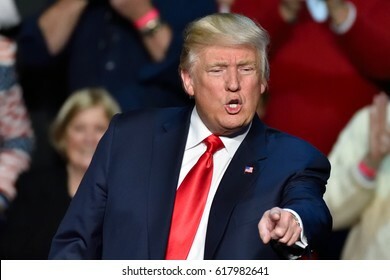 HERSHEY, PA - DECEMBER 15, 2016: President Donald Trump grabs the microphone before delivering a speech at the Giant Center. 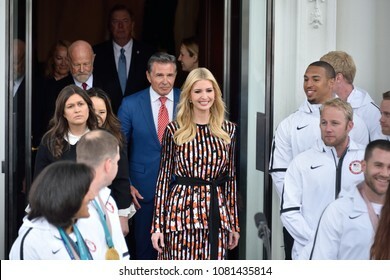 It was billed as the "Thank You" tour. 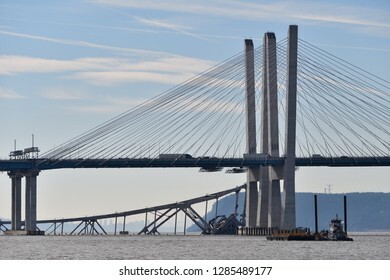 TARRYTOWN, NY JANUARY 15, 2019: The Old Tappan Zee Bridge East Tower is seen resting in the Hudson River with the New York skyline along side the new Eastern Towers of the Mario Cuomo Bridge. 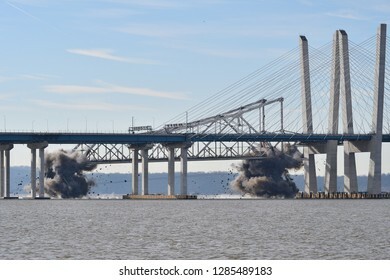 TARRYTOWN, NY - JANUARY 15, 2019: The Old Tappan Zee Bridge East Tower is demolished by controlled explosives and seen here in mid air falling into the Hudson River. NEW YORK, NY - JULY 1, 2017: "Charging Bull" and "Fearless Girl" bronze sculptures in the Bowling Green section of Wall Street Financial district in Manhattan. Girl Faces Bull from right. 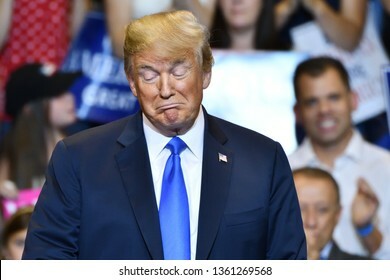 HERSHEY, PA - DECEMBER 15, 2016: Pensive President Donald Trump pauses during a campaign rally speech held at the Giant Center billed as the "Thank You" tour. 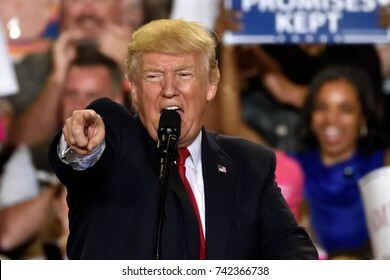 HERSHEY, PA - DECEMBER 15, 2016: President Donald Trump dynamic pointing toward the crowd at a "Thank You Tour" rally held at the Giant Center. 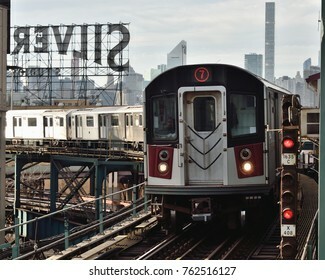 NEW YORK, NY - NOVEMBER 25, 2017: The 7 train arrives at the station with the iconic Silvercup Studios sign and Manhattan skyline in the background. 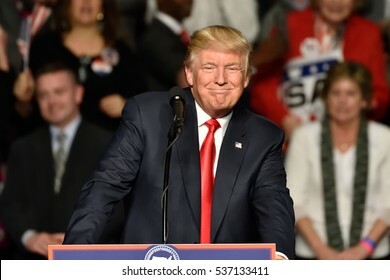 HERSHEY, PA - DECEMBER 15, 2016: President-Elect Donald Trump arrives on stage to deliver a speech at a Thank You tour rally held at the Giant Center. 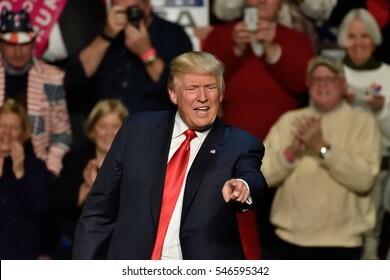 HERSHEY, PA - DECEMBER 15, 2016: President-Elect Donald Trump points straight toward the crowd as he concludes his speech at a "Thank You Tour" rally held at the Giant Center. 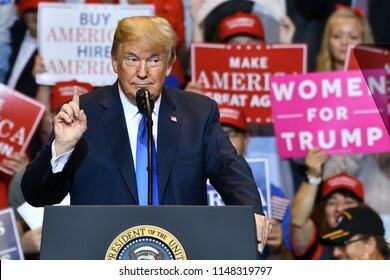 WILKES-BARRE, PA - AUGUST 2, 2018: President Donald Trump points to the "dishonest media" as he delivers a speech at a campaign rally for Congressman Lou Barletta. 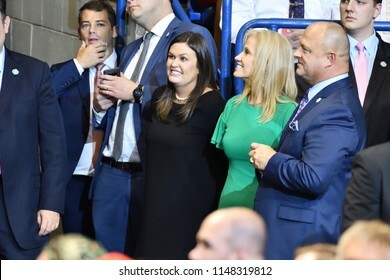 WILKES-BARRE, PA - AUGUST 2, 2018: Sarah Huckabee Sanders and Kellyanne Conway attend a President Trump campaign rally for Congressman Lou Barletta. 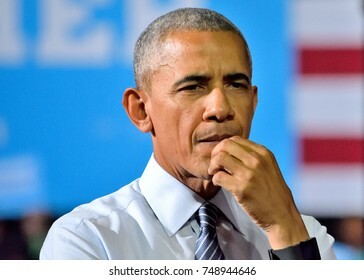 CHARLOTTE, NC, USA - JULY 5, 2016: Deep Thought Barack Obama President of the United States listens intently to a speech by Presidential nominee Hillary Clinton at the Charlotte Convention Center. 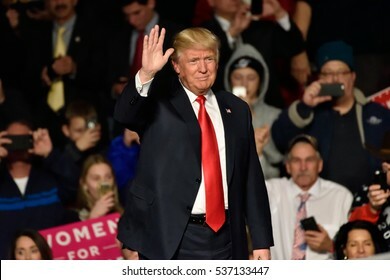 HERSHEY, PA - DECEMBER 15, 2016: President-Elect Donald Trump waves to the crowd as he arrives on stage to deliver a speech at a Thank You tour held at the Giant Center. 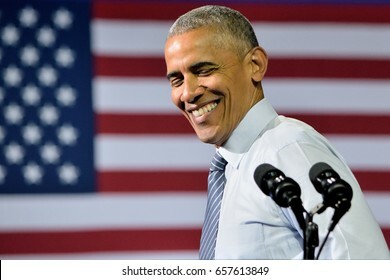 CHARLOTTE, NC, USA - JULY 5, 2016: President Barack Obama with the US flag in the background as he delivers a speech at a campaign rally for the presumptive democratic nominee in Charlotte. 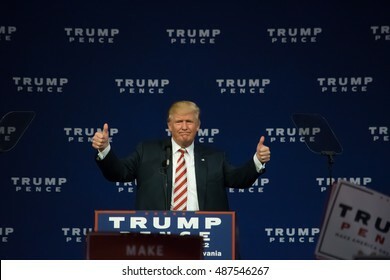 ASTON, PA - SEPTEMBER 22, 2016: Donald Trump giving the thumbs up gesture as he delivers a campaign speech at Sun Center Studios. 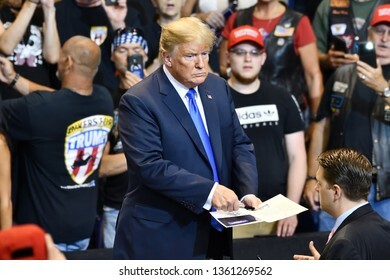 WILKES-BARRE, PA - AUGUST 2, 2018: President Donald Trump signs his autograph for a supporter at a campaign rally. 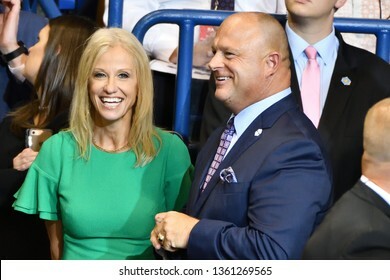 WILKES-BARRE, PA - AUGUST 2, 2018: Kellyanne Conway, counselor to the President and David Urban, political operative and commentator enjoy a moment at a Trump campaign rally. 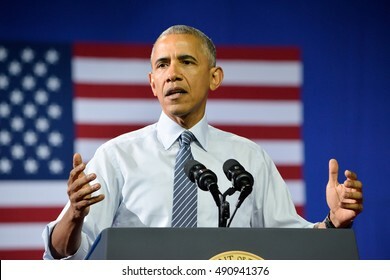 CHARLOTTE, NC, USA - JULY 5, 2016: Barack Obama President of the United States gestures an extended arm toward the crowd during a speech at the Charlotte Convention Center with Hillary Clinton. 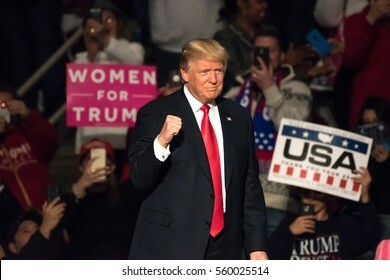 HERSHEY, PA - DECEMBER 15, 2016: President-Elect Donald Trump gives a "Fist Pump" as the confidently arrives on stage to deliver a speech at the "Thank You" Tour rally at the Giant Center. 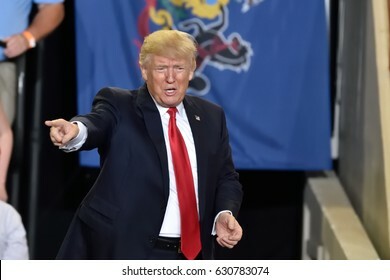 HARRISBURG, PA - APRIL 29, 2017: President Trump pointing gesture as he exits the stage of his campaign rally. 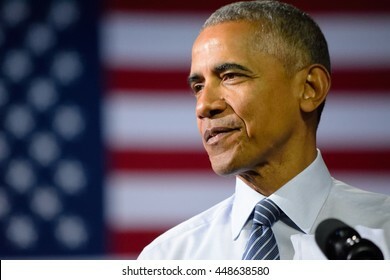 Held at The Farm Show Complex and Expo Center. 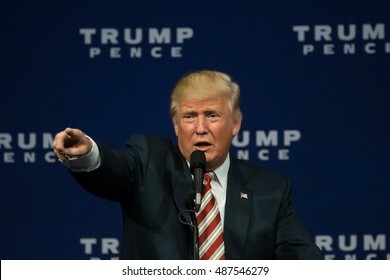 ASTON, PA - SEPTEMBER 22, 2016: Portrait view of Donald Trump pointing as he delivers a campaign speech at Sun Center Studios. 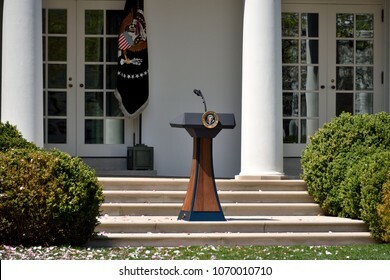 WASHINGTON, DC - APRIL 14, 2018: The presidential podium is seen in the Rose Garden of the White House on a clear sunny day during the Spring Garden Tour. 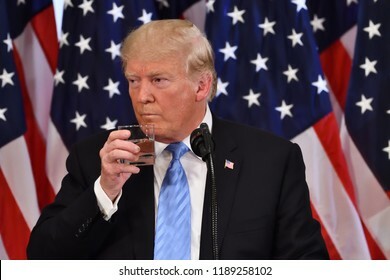 NEW YORK, NY - SEPTEMBER 26, 2018: President Donald Trump takes a drink of water during his press conference at the Lotte New York Palace. 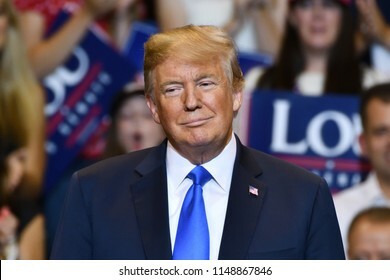 WILKES-BARRE, PA - AUGUST 2, 2018: President Trump portrait as he pauses on stage at a campaign rally for Congressman Lou Barletta. 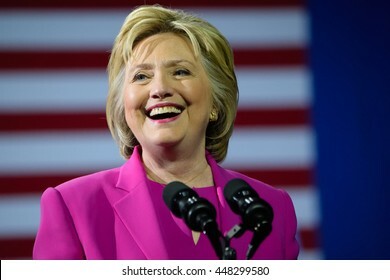 CHARLOTTE, NC, USA - JULY 5, 2016: Hillary Clinton smiling in magenta suit speaks at a rally at the Charlotte Convention Center in a joint appearance with the US President. 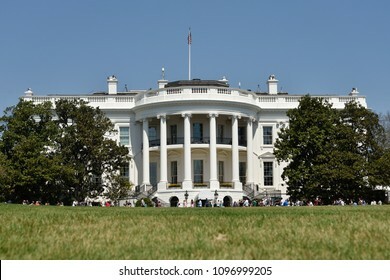 WASHINGTON, DC - APRIL 14, 2018: The South Portico of the White House during the Spring Garden Tour on a clear sunny day. Wide angle view from the South Lawn. 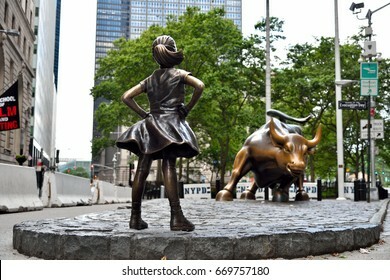 NEW YORK, NY - JULY 1, 2017: "Charging Bull" and "Fearless Girl" bronze sculptures in the Bowling Green section of Wall Street Financial district in Manhattan. 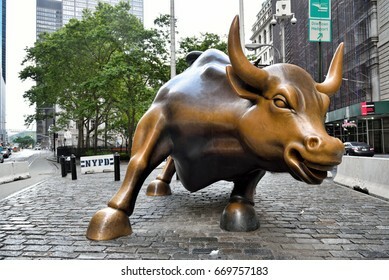 Girl Faces Bull from left. 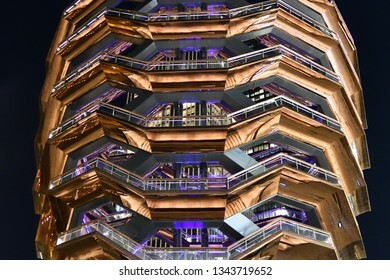 NEW YORK, NY - MARCH 19, 2019: "The Vessel" Sculpture Structure in Hudson Yards is 16 stories high with 155 stairs. Bottom up view. 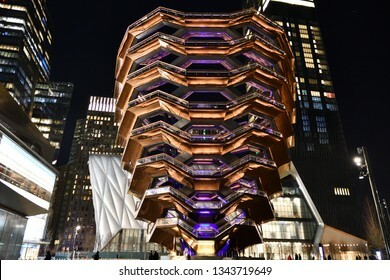 NEW YORK, NY - MARCH 19, 2019: "The Vessel" Sculpture Structure in Hudson Yards is 16 stories high with 155 stairs. Night View Tall. 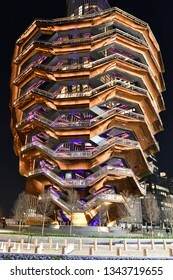 NEW YORK, NY - MARCH 19, 2019: "The Vessel" Sculpture Structure in Hudson Yards is 16 stories high with 155 stairs. 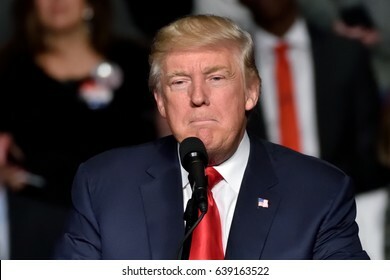 Very Close view. 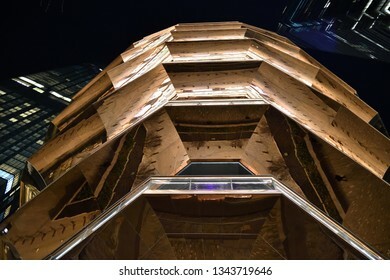 NEW YORK, NY - MARCH 19, 2019: "The Vessel" Sculpture Structure in Hudson Yards is 16 stories high with 155 stairs. Tall view. 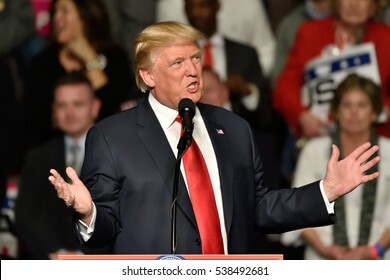 HERSHEY, PA - DECEMBER 15, 2016: President-Elect Donald Trump gestures with both arms open during a speech to a large crowd at a Thank You tour stop held at the Giant Center. 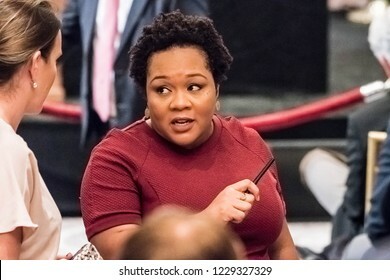 NEW YORK, NY - SEPTEMBER 26, 2018: Yamiche Alcindor a journalist with PBS prepares for President Trump's news conference at the Lotte Palace Hotel. 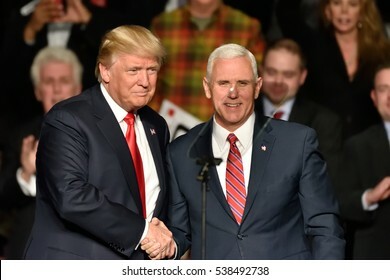 HERSHEY, PA - DECEMBER 15, 2016: President-Elect Donald Trump and Vice President-Elect Mike Pence shake hands on stage at a Thank You rally held at the Giant Center. 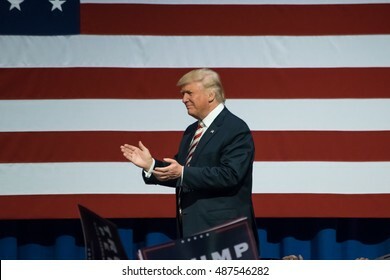 ASTON, PA - SEPTEMBER 22, 2016: Donald Trump enters the stage and walks by the American Flag. 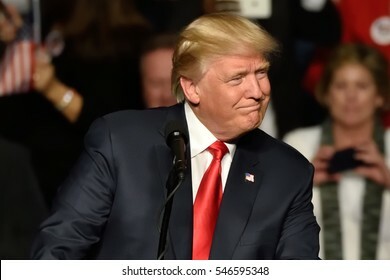 Trump is the Republican nominee for US President and he held a rally at Sun Center Studios. NEW YORK, NY - JULY 1, 2017: "Charging Bull" bronze sculpture in the Bowling Green section of Wall Street Financial district in Manhattan. 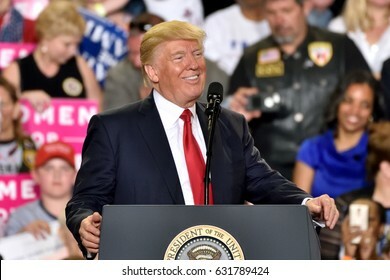 HARRISBURG, PA - APRIL 29, 2017: President Donald Trump smiles during a campaign rally to mark 100 days in office. Held at The Farm Show Complex and Expo Center. 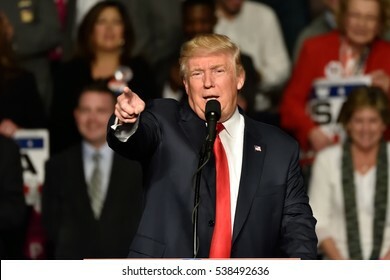 HERSHEY, PA - DECEMBER 15, 2016: President-Elect Donald Trump makes a pointing gesture toward the media during a speech to a large crowd at a Thank You tour rally held at the Giant Center. 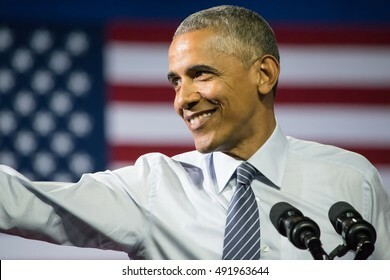 CHARLOTTE, NC, USA - JULY 5, 2016: Barack Obama President of the United States with a gesture of concern while delivering a speech at the Charlotte Convention Center for Hillary Clinton. 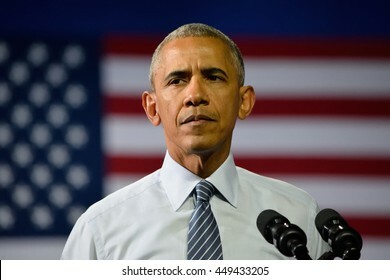 CHARLOTTE, NC, USA - JULY 5, 2016: President Barack Obama with the face of concern as he speaks at a campaign rally for the presumptive democratic nominee at the Charlotte Convention Center. 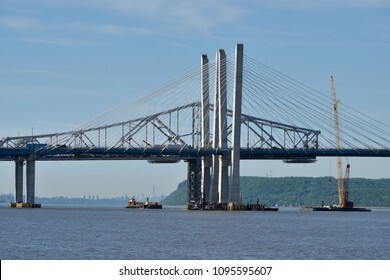 TARRYTOWN, NY - MAY 21, 2018: The new Tappan Zee bridge is under construction and the old span is being disassembled into pieces. A closeup of the Eastern towers on a sunny day. 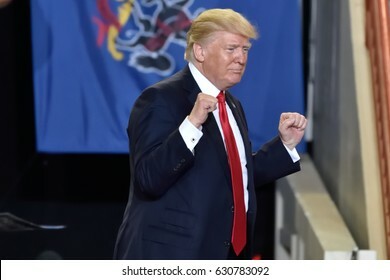 HARRISBURG, PA - APRIL 29, 2017: President Trump "two hands" fist pump as he walks on stage at a post presidential campaign rally. Held at The Farm Show Complex and Expo Center. 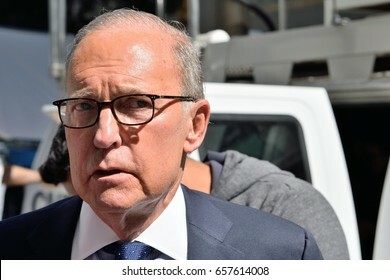 NEW YORK, NY, USA - SEPTEMBER 15, 2016: Larry Kudlow economist journalist and conservative commentator prepares to go on camera with CNBC after a Trump speech at the Economic Club of New York. 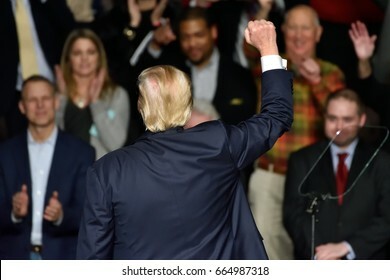 HERSHEY, PA - DECEMBER 15, 2016: Donald Trump President of the United States gives a fist pump to the crowd with his back turned to the main audience during a campaign rally at the Giant Center. 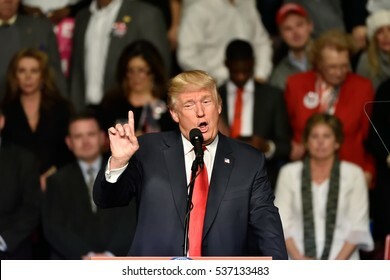 HERSHEY, PA - DECEMBER 15, 2016: President-Elect Donald Trump gestures during a speech to a large crowd at a Thank You tour rally held at the Giant Center. 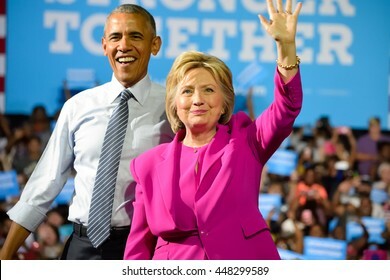 CHARLOTTE, NC, USA - JULY 5, 2016: President Obama and Hillary Clinton wave to the crowd on stage at their first campaign appearance at the Charlotte Convention Center.